You'll know a cloth is lint free by wiping a pane or mirror, then carefully examining the surface for lint under magnification. For certain applications, leaving behind rag lint deposits is far from ideal. For surgical use, glass cleaning and automotive care, lint can easily get in the way of the job at hand. A lint free cloth is a special type of cleaning cloth that does not give up any fluff when used. Being free of lint means the cloth is less likely to build up a charge, which can cause ESD; damaging electronic equipment like HD televisions, computer monitors and digital cameras and many more applications. We, ShriRam Enterprises are offering a best grade range of Lint Free cloths. These lint products are widely demanded in different industries for assisting several needs. Easy to use these lint free units are accessible from us at reasonable prices. 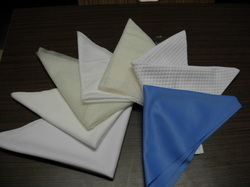 Moreover, for the ease of the consumers experts have ensured the perfect quality of Lint Free Cloth Wipes. For our esteemed customers, we have introduced Lint Free Wipes sourced from known names of the industry. 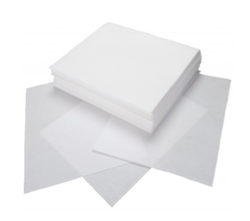 These wipes are used for wiping in the procedure where low lint or use of the chemical is required. Looking for Lint Free Wipes ?